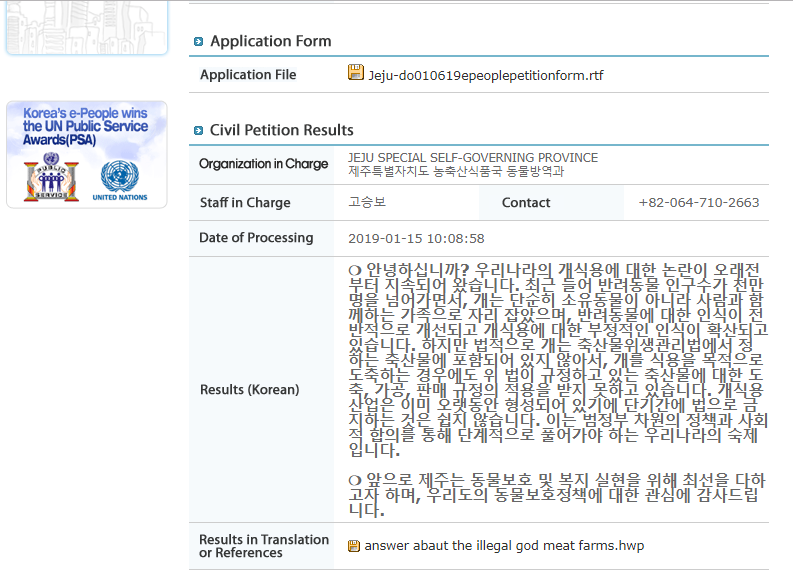 Below is Jeju-do Province’s response to our petition: Jeju-do Province, South Korea, Shut down the illegal dog meat farms, slaughterhouses and markets. 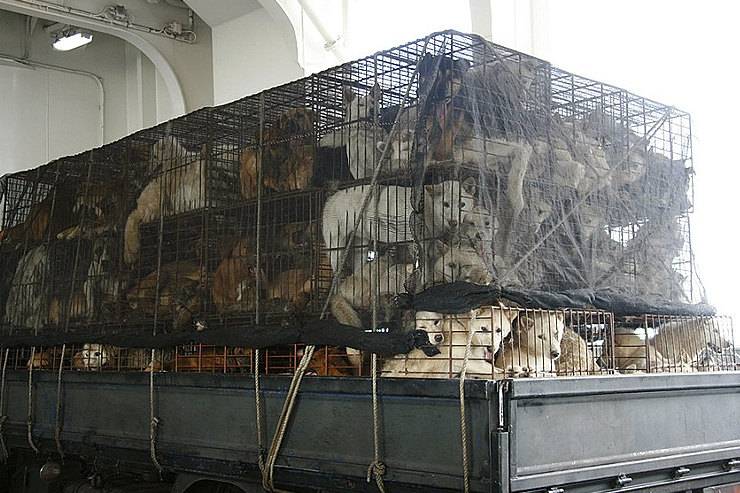 “Hello, The controversy over utilizing dogs as food in Korea has been going on for a long period of time. As the number of companion animals exceeds 10 million in recent years, dogs have become part of the family with people, rather than just animals, and overall awareness of companion animals has improved and negative perceptions of dog meat consumption are spreading. However, dogs are not included in the livestock products prescribed by the Livestock Product Sanitary Control Act, so even if a dog is slaughtered for meat, it is not covered by the slaughtering, processing and sales regulations for livestock products stipulated by the Act. Since the dog meat industry has already been around for a long time, it is not going to be easy to ban by law within a short period of time. This is Korea’s homework to solve step by step through policy and social consensus at the pan-government level. We find the response simply staggering. Just because a practice is an old or entrenched one, doesn’t mean it is right or that quick action shouldn’t be taken to ban it. This is the kind of shameful, profoundly indifferent and irresponsible attitude that we have come to expect from Korean government, and should be a national embarrassment to all Korean citizens. Dog truck from Jeju, South Korea.